Print technology: using heat dye sublimation technique, long-lasting effects. stylish design can reveal your personal taste and highlight the home decoration. 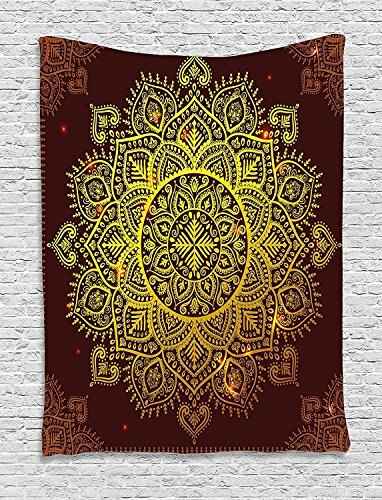 This gorgeous piece of art can be used as bedspread, bed cover, table cloth, curtain and of course as a tapestry or a wall hanging.And it is perfect to take along to a picnic or to the beach.It brings a different level of enthusiasm to the atmosphere.It also will be a best chioce to give this item as a gift at festival time, parties, housewarmings and birthdays. If you have any questions about this product by XHFITCLtd, contact us by completing and submitting the form below. If you are looking for a specif part number, please include it with your message.